LAFIA – KILLERS Suspected to be Fulani herdsmen at the weekend launched a fresh attack on Tiv communities at different locations in the southern senatorial district of Nasarawa state. The suspected killers were said to have carried out the attacks simultaneously in Awe, Keana, Obi and Doma Local Government Areas of the state, leaving about 32 killed and 19 others with severe gun and matchet e injuries. At the time of this report, over 10,000 Tiv villagers are currently trapped in Obi Local Government Area following the coordinated attacks by the suspected herdsmen. 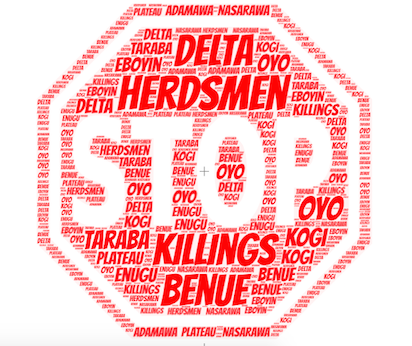 The post 32 killed in fresh herdsmen attacks in Nasarawa appeared first on Vanguard News.